Amazon vs eBay vs Etsy, Which is best? A question I get hit all the time is “where should I sell my items?” Although you can technically sell your items with any online marketplace or the dozens of mobile apps out there, there are advantages to each one. These advantages help you to sell your items faster or for more profit. This article is concentrating on the three big online marketplaces that should still be where most of your sales generate. Amazon, eBay and Etsy have been operating for years and each one generates billions of sales each year. 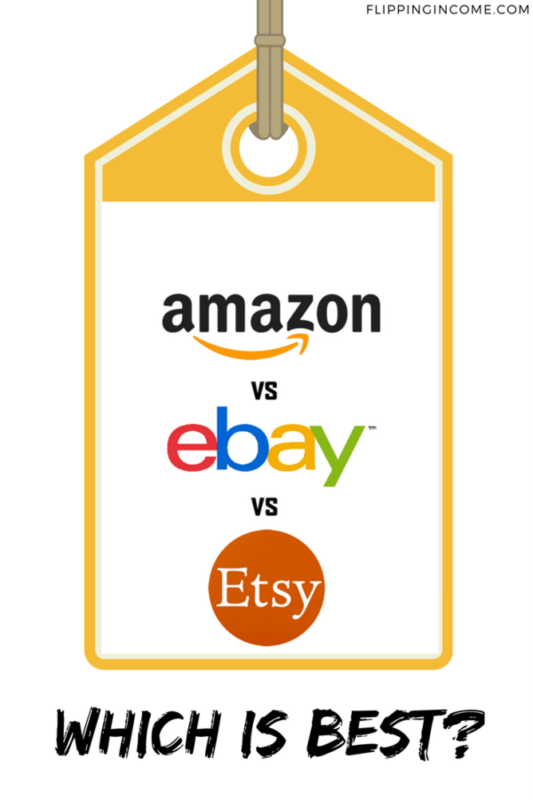 Amazon vs eBay vs Etsy, which is best? Huge customer base – Amazon is the largest online retailers with 350+ million active members. Credibility and trust – New customers are more comfortable purchasing from Amazon than purchasing from a website they’re unfamiliar with. Amazon has one of the highest satisfactory ratings for new and repeat buyers. Excellent back-end infrastructure – Amazon has a great back-end infrastructure to support selling. Everything from inventory tracking to tax collection to credit card processing is possible with Amazon’s platform. It’s all there for you. No need to figure out how to do all the setup yourself. fulfillment, returns and customer service issues. Fees – Amazon has two seller plans. One for Individuals who sell less than 40 items a month and one for professionals who sell more than 40 items a month. Individuals have to pay a dollar fee per item sold + category fees. Professionals have to pay a monthly subscription fee of $40 dollars + categories fees. Depending on how much you sell, fees from Amazon came come out to be more than eBay and Etsy. Amazon FBA also changes you a listing fee plus typically a few dollars in fulfillment fees depending on the item. You’re a commodity – On Amazon you’re mostly a commodity and subject to someone undercutting your price. You’re also competing with Amazon directly if they decide to sell your product. No branding – There aren’t many branding options on Amazon. The only thing you have control of is your products’ photos and text description. Everything else is Amazon branded. Lack of customer loyalty – Customers are loyal to Amazon and not your brand. So you lose the repeat business or the ability to up sell/cross sell unless you sell a product no one else does. Used Electronics – Amazon’s Trade- In program makes it extremely easy for anyone to sell used electronics items such as cell phones, video games, tablets, and laptops. They offer you a set price and provide a shipping label for you to ship with. 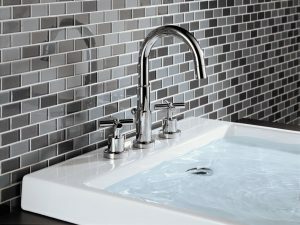 No worries about the price you are getting nor dealing with buyers. New Items – If you have the ability to source a new product continuously or have a ton of an existing product, have an Amazon Seller’s Account is a great way to sell your item. All the pros listed above lets you sell your items quickly and efficiently. This includes Dollar store items. How To Make Money With These 6 Items from Dollar Tree. Huge global customer base – On eBay has over 200+ million active buyers located around the world. You can instantly become a global seller by using eBay’s global shipping program. The program allows you to ship to a hub within the US and the international shipping gets taken care of for you. Ease of use – EBay’s selling, listing and inventory tools make it easy to sell your products on the site quickly. eBay has made many features free these days to help you sell your items. One example is by making multiple pictures available free. Ability to sell anything – This is the biggest pro to eBay. It doesn’t matter if you have a used iPhone, a restored 1969 Camaro SS or a first edition of X-Men comic book, you can sell it on eBay. eBay’s auction format allows you to list practically anything and there are millions of people looking. Tight integration with Paypal – Paypal is the preferred electronic payment solution for thousands of online sites. eBay has a close relationship with Paypal since eBay was the parent company of Paypal until 2015 when they sold them off. The main benefit is trust with customers and Paypal’s seller protection program. Fees can add up – Fees on eBay can vary depending on what you sell and how you sell it. Sellers typically pay 10 percent of the sale price, with a maximum fee of $250 – though advanced listing upgrade fees add more to the cost. Paypal also incurs a 3 percent fee. This makes it difficult to profit from items with little margin. Favors buyers over sellers – Over the years, eBay has made it increasingly difficult for sellers by tipping the scales of empowerment heavily in favor of buyers. This includes eBay’s new 180-day return policy for buyers and seller’s inability to leave negative feedback for buyers. Rare Things – If you happen to have a one-of-a-kind item or vintage items that are rare nowadays, you definitely want to list up on eBay. Although Craigslist, antique shops or local auctions might net you money faster…eBay allows you to showcase your product to the world. Vintage comic books, books, stamps, coins, precious metals, antiques, paintings, cars all fetch high prices on eBay. Anything w/ High Margins – Because of the high fees, you want to sell only things with high margins. Used items you bought from dollar stores, thrift stores or garage sales would be good examples of things you can sell on eBay due to their high margins as long as shipping costs don’t ruin it. Things you can’t sell anywhere else – When in doubt or when you simply can’t sell something, list it up on eBay. Boxes, random remotes, power cords, old software can all be sold. Take a look at Junk Around The House You Can Sell on eBay. Large targeted customer base – Etsy has over 60 million active members which are specifically looking for hand-crafted, artisanal or vintage items. Easy to set up shop – Etsy makes it easy to list and advertise. A seller can quickly set up a storefront, payment options and generate shipping labels without any HTML or CSS stylesheet knowledge. Powerful, supportive community – Etsy has forums and teams that create a sense of family amongst sellers. This brings in multiple sales as well, as Etsy sellers love to support one another. Fees – Overall Etsy has a lot less fee structure than Amazon or eBay. Etsy charges a $.20 cent listing fee and a has a flat 3.5% selling fee. Little or no ability to customize or personalize your shop – There is a limit to how much personalization a customer can do through an Etsy listing. All seller pages look the same, making it a little more difficult to distinguish yourself. Lots of targeted competition – Since Etsy’s marketplace consists of very specific categories, there’s a lot of competition within them. Furthermore, there are a lot of copycats on Etsy. There are shops that have very similar items down to the listing format, description and policy page. Anything hand-crafted – If your the type that likes creating your own things such as jewelry, clothes, home decor, party items, etc… you definitely want to sell on Etsy. Buyers on Etsy specifically browse for hand-crafted item which is rarely seen on Amazon or eBay. Check out 12 Cool & Weird Things Being Sold On Etsy for some wacky examples! Vintage Clothes – There is a huge following on Etsy for vintage clothes or new clothes that look vintage. Even though eBay is great for vintage things. clothes is definitely something you should consider on Etsy. 10 Tips for starting a vintage shop on Etsy. Craft Supplies – Due to the high number of sellers selling hand-crafted items, it’s not a surprise that craft supplies are a huge hit as well. Anything from toilet paper rolls to colored paper to signs is sold on Etsy. Amazon, eBay, Etsy, Which is best? There is no right or wrong answer to which marketplace is best. They all have their own pros and cons and it’s up to you on how to maximize their pros for your gains. Although Craigslist is always an option and so is the dozens of location based selling apps, they are for local selling. Visibility is limited to how many people are around you. Local selling is great for very large or heavy items that you don’t want to ship or for fast sales. But if you don’t mind spending some time taking some pics, putting up a listing and shipping…your not going to find any better ways of maximizing profits than Amazon, eBay or Etsy. Just a question…if i dont post anything on ebay to sell..is ebay continuing charging me fees..just for having an account??? Posting to ebay is free and having an account is free. It is only after an item sells where you get charged.